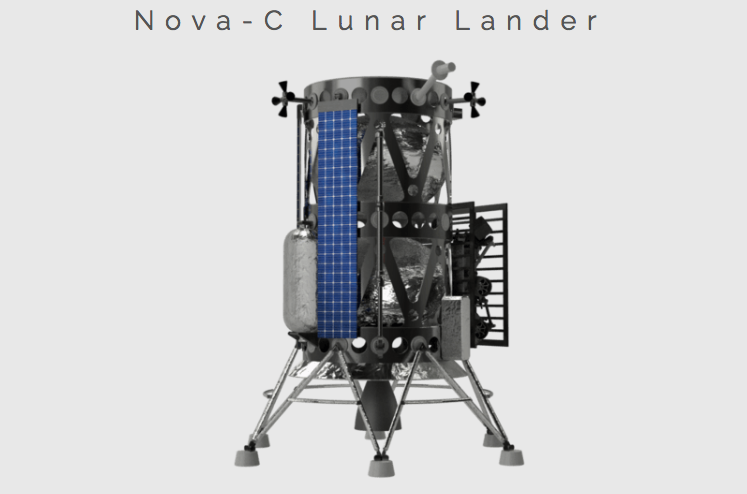 Houston-based Intuitive Machines has been developing the Nova-C class moon lander as a component of the company’s Lunar Payloads and Data Service (LPDS) program. A 3,300-pound Nova-C lander delivers payloads in seven berths to the lunar surface on a single flight and provides power, computation, and data relay services in support of each payload. “We are extremely excited to be developing the Nova-C spacecraft/lunar lander line and look forward to landing payloads on the moon in 2021,” Steve Altemus, Intuitive Machines president and chief executive, said. Prior to cofounding Intuitive Machines in July 2013, Altemus, an aerospace engineer, served as the deputy director of NASA’s Johnson Space Center. Formerly, he was the space center’s director of engineering, guiding 2,800 employees through the conceptualization, design, development, testing and evaluation of aerospace systems for use in human, robotic, and automated space flight for low earth orbit and deep-space missions. The Intuitive Machines team includes many former veterans of NASA’s advanced development and autonomous systems efforts, including Project M and Project Morpheus, which were involved in demonstrating system autonomy, rapid development, hazard detection, and methane propulsion technologies for lunar-exploration missions. “We have put together a world-class team specifically designed to develop and execute the end-to-end mission of landing and supporting payloads on the moon commercially,” Altemus said. “Each of the Nova-C systems are already at a very high technology readiness level, and many of them are complete or off the shelf,” Dr. Tim Crain, the Lunar Payloads and Data Service program’s engineering director, said.